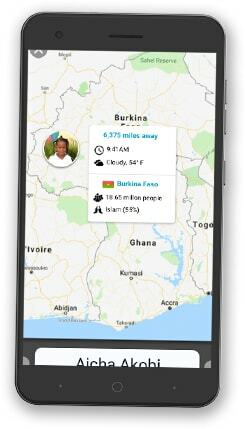 Compassion’s Mobile App is a whole new way to bring you closer to your sponsored child. The latest updates include a variety of features to connect you to your child on a deeper level. Thank you for sponsoring, loving and giving your child an opportunity to be released from poverty in Jesus’ name! See below for a tour of all the Compassion Mobile App has to offer – and download it to your phone using the button above. 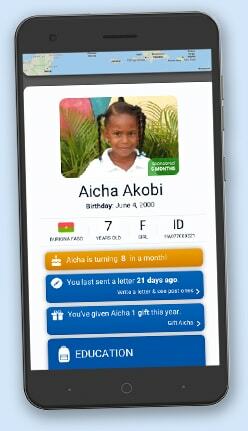 Easily explore everything about your relationship with your sponsored child – from when you last wrote your letter to a countdown to your child’s birthday! Learn about the country where your child lives, from population to languages to the weather – all things you can talk about in your next letter! We believe that prayers matter! 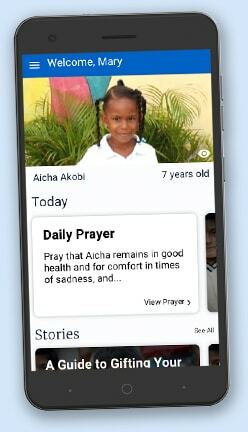 This new tool gives you specific prayer points and lets you set up a reminder to pray for your sponsored child. 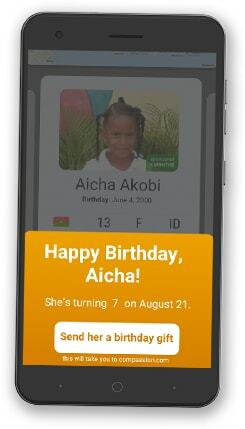 You can easily give a birthday, child or family gift to each of your sponsored children from the mobile app! Download the app today and start exploring your child’s world! First, try clearing your cache and log into the app again. This resolves most issues. Also, check to make sure you have the most recent version of the app – each new release solves problems and bugs. If you don’t know what version you have, try removing and downloading the app again to ensure you have the latest version. Still having issues? Tap Contact Us on the Compassion app or visit support.compassion.com.